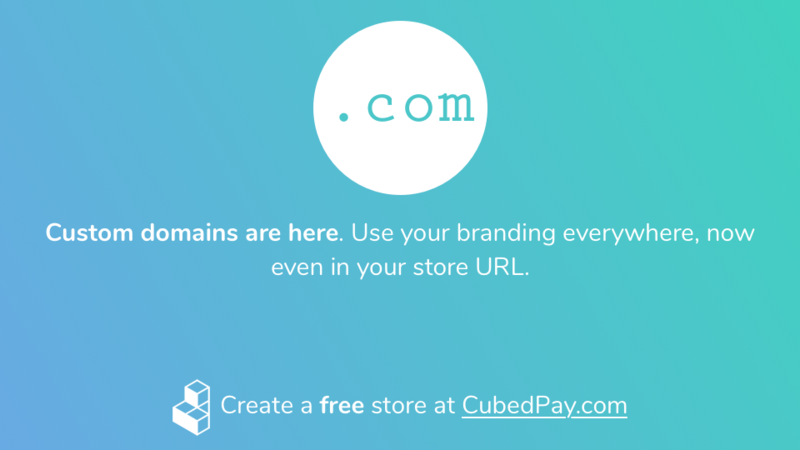 Starting today, you can now use your own domain name on your CubedPay store. The process is extremely simple, and only takes a few minutes to set up. How do I set a custom domain? Select Edit, and enter the domain you'd like to use. Make sure to update your DNS settings to match what's required in the setup wizard. After propagation, your store will now be live at your old address. This feature is available to all customers on our Unlimited and Enterprise plans. For additional help, please see our #howto article: Setting up a custom domain. How do I setup SSL on my custom domain? SSL is included with all custom domains. Once you've activated your domain, just click Create from your domain settings to generate a certificate.